Step Lite is designed with a 88mm flange for flush mounting into masonry, stone or wood. 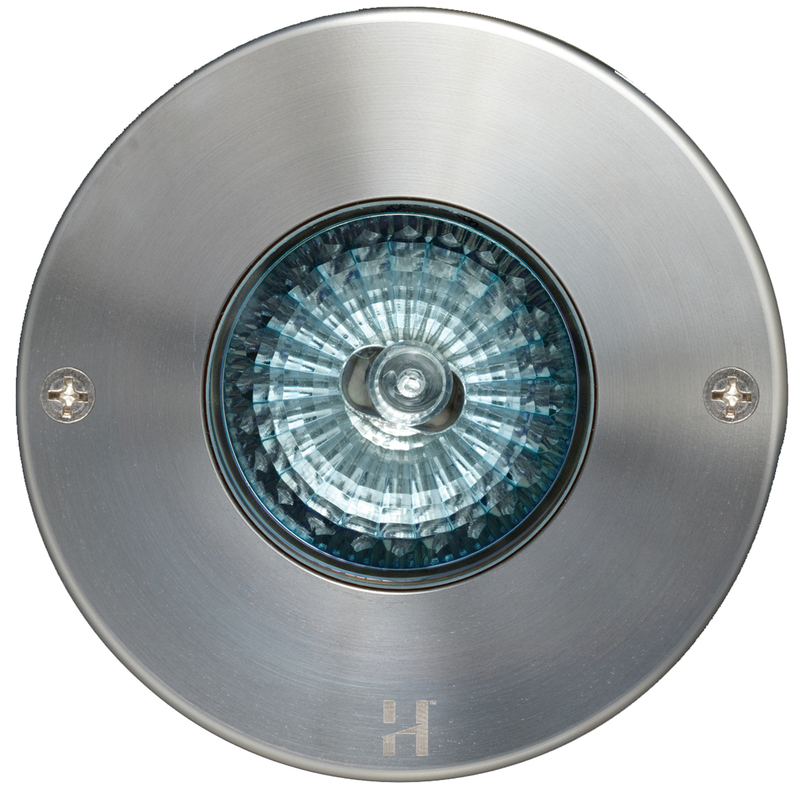 For steps lighting and ground level horizontal lighting, for example, driveway lighting or exterior paved areas. Machined from 63.5 x 10mm thick aluminium with a UV stable powder coated finish (standard colours bronze, green, matt black, silver and white) or solid copper or 316 stainless steel, clear tempered glass lens and high temperature silicon gaskets. The standard low voltage are suitable for use with an MR16 – 20 watt lamp (max) and is supplied with a high quality European 5000 hour lamp. Alternatively a 5 watt self ballasted 240 volt fluorescent option is available which offers excellent light output, low energy usage, long lamp life and very low heat generation this changes the luminaire to an IP66 rating.